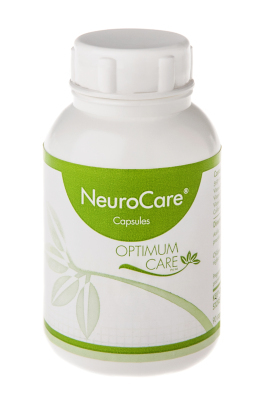 Neurocare is a specially formulated blend of herbs, vitamins and amino acids to assist in the relief of day to day stresses, mood swings, sleeplessness, restlessness, mild to moderated sadness and also for assisting in low energy and anxiety. Neurocare assists in the numerous nervous system, brain and gut nervous system effects on stress, mood, sleep and energy production. 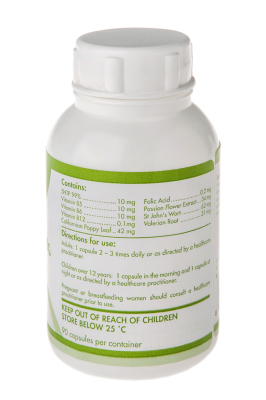 The formulation is designed to calm, nourish and regulate the bodies nervous system and responses to stress. The blend of Passion flower extract, Californian poppy leaf powder, Valerian root powder and St Johns wart extract act on the nervous system to produce a sense of calm. This blend of herbs along with vitamin B2, B5, B6, folic acid and the amino acid 5HTP act as the raw materials needed for assisting nervous system stress, sleep and mood functions.